Eric J. Nestler, M.D., Ph.D.
What happens when an addictive drug enters your system, as you swallow it, smoke it, or shoot it into your veins? What happens when you are compelled to take that drug repeatedly, to the point where getting the next dose becomes a central preoccupation? These are very different but related questions; together they describe the concerns that have driven more than 30 years of research by 1996 NARSAD Distinguished Investigator and long-time Foundation Scientific Council member Eric Nestler, M.D., Ph.D., Nash Family Professor and Director of the Friedman Brain Institute at the Icahn School of Medicine of Mount Sinai Hospital. Within 10 years of the founding of his first lab in 1987, Dr. Nestler and a colleague had published a paper in Science that would energize the field of addiction studies. Titled “Molecular and Cellular Basis of Addiction,” it reflected the growing ability of neuroscience to explore the biological underpinnings of outward behaviors. Doctors had been observing addicted people for many years. But the question remained: What happened at the level of the cells and circuits of the brain and nervous system in such people to make them “high,” and also addicted—dependent on obtaining the next dose. When any drug—alcohol, nicotine, marijuana, cocaine, methamphetamine, heroin—is ingested, it disturbs naturally occurring activity at synapses, the tiny spaces between neurons where messages are relayed from one cell to the next. Different types of drugs affect different kinds of neuronal receptors and neurotransmitters. Eons before the first person smoked tobacco or became addicted to pain pills, the brain of mammals already had naturally occurring nicotinic and opioid receptors. What’s interesting about addiction is what happens, not just at these receptors, but “downstream,” inside and among neurons, as drugs unnaturally occupy these docking ports and can induce changes to entire circuits in the brain. In other words, the brain of the addicted person molds itself in response to a new and powerful environmental factor, the regular taking of addictive drugs. It’s an adaptation, but more precisely, it’s a “maladaptation,” as the brain’s marvelous natural plasticity is harnessed to an unhealthy purpose. That’s one of the things that makes addiction so vexing. In 1998, Dr. Nestler and colleagues made a notable finding. They conducted experiments in mice addicted to cocaine. 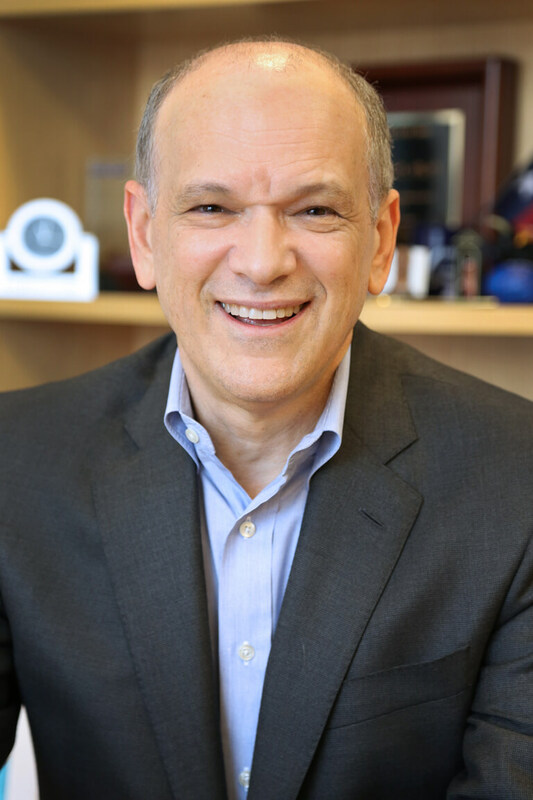 “We discovered that by manipulating the reward pathway in these mice, we were not only able to prevent the rewarding effects of cocaine, but surprisingly, we could push these animals to a point where they were anhedonic—unable to experience pleasure.” This frequent symptom of depression alerted Dr. Nestler to the importance of the brain’s reward system in both addiction and depression. The ways in which addictive drugs engage the reward centers and circuits of the brain have been charted by leaders in the field including Dr. Nora Volkow. Dr. Nestler has pioneered exploration of the ways in which drug activation of reward circuits alters gene activity, inside the nucleus of individual brain cells. It’s complicated, but the idea behind this research is not. “Ultimately, the ability of environmental stimuli to influence an organism requires changes in gene expression,” he says. But which genes? What are the mechanisms that control their expression? And how can we intervene to reduce or reverse the changes? This, in brief, has occupied Dr. Nestler’s lab for the past 15 years. “To mediate the constant interplay between our genes and stimuli from the environment in which we live, including stress and drugs, there are mechanisms we call epigenetic,” he explains. These are a variety of naturally occurring molecular processes that evolution has devised to change the way genes are expressed. Rather than change the DNA sequence of the gene, epigenetic mechanisms change the cell’s ability to physically access the gene and switch it on or off, or increase or lower its activity. Numerous papers from Dr. Nestler’s lab have described in intricate detail how different epigenetic mechanisms are involved when a person is addicted. One way to sum up the cumulative wisdom from this body of work is to say that when the brain re-molds itself to accommodate the regular taking of, say, cocaine—an abnormal input from the environment—the cell can respond in various ways, most of them maladaptive. Consider the epigenetic mechanisms called methylation and acetylation. Inside the cell nucleus, at the DNA sequence of a gene involved in, say, the reward response, a cell might add or subtract chemical “tags” consisting of methyl or acetyl molecules. These chemical tags actually enable or prevent the cell’s gene-activating machines from accessing such genes. Alternatively, these tags can attach to bundles of tightly coiled DNA called chromatin, changing the bundle’s shape and in that way altering gene activity. Yet another way addictive drugs (and chronic stress) change the way genes are expressed is by altering the activity of proteins called transcription factors (TFs). When a TF such as ΔFosB is blocked or degraded inside the cell nucleus, it cannot attach to DNA to initiate the expression of a given gene. Hundreds of factors can alter gene activity in response to drugs. At least in principle, many of them are reversible. Recent work in the Nestler lab has provided vivid examples of how, by targeting epigenetic mechanisms known to change in addiction, it may be possible to weaken or abolish the grip of both craving and withdrawal. There are, for example, specialized enzymes called methyltransferases and acetyltransferases that carry methyl and acetyl “tags” to DNA and chromatin, causing gene activity to change. Another set of enzymes removes these chemical tags. Future pharmaceutical treatments might involve inhibitors or promoters of these epigenetic modifiers of gene activity, applied selectively in parts of the brain where addiction circuits converge. There is a powerful rationale to continue vigorous basic research on such potential treatments, not only to help people who are addicted, but their children as well. We now know that certain harmful epigenetic changes may be inherited across generations. Research can help find a way to prevent the children of people who are addicted from being “primed” for addiction— from the moment of their birth, or even before birth, while still in the womb of their mother.